Travel insurance is designed to rescue you in situations when your planned vacation goes wrong or awry. As such, you expect to be compensated by the insurance firm. However, it is not in every travel situations you should expect to be compensated. Jumia Travel shares possible things travel insurance won't cover. Travel insurance typically doesn’t cover you if you miss a plane due to excessively long lines. While those aren’t your fault, they also aren’t the fault of the airline. If you frequent busy airports, consider precheck where it’s available. A lost lodging reservation isn’t covered by travel insurance and instead will have to be taken up with the company or travel agent that lost it. If you find your event or sightseeing excursion ticket turns out to be fake, typical travel insurance won’t cover you. Make sure you’re using a trusted ticket or tour agency. 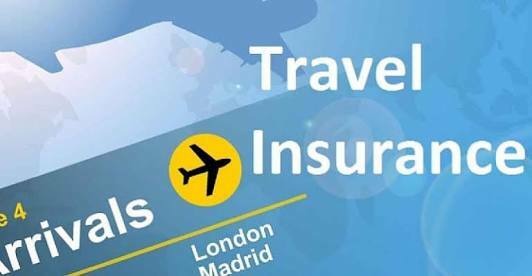 If you or your tour operator makes a last-minute itinerary change, travel insurance won’t cover any travel issues caused by it, unless it involves complete suspension of the trip. You can try contacting the operator responsible for the changes about compensation. If you arrive at your destination and it rains the entire time you’re there, you might be disappointed — but travel insurance certainly won’t help you. As long as your airline operates and the resort is open, you got what you paid for despite Mother Nature’s mood.